I was very fortunate to be approved for the blogger program of the upcoming book Delivering Happiness: A Path to Profits, Passion, and Purpose , written by Zappos CEO Tony Hsieh. It is an honest tale of entrepreneurship and taking all the risks in order to follow your passion. After finding out that profit alone is not enough to make a company tick, Tony Hsieh (pronounced ‘Shay’) decided to try two other P’s: Passion and Purpose. Like Jonathan Haidt, Hsieh is a firm believer of vital engagement and the pursuit of a calling (as opposed to a career or a job). Zappos is currently known as ‘the shoe store that revolutionizes how business gets done. 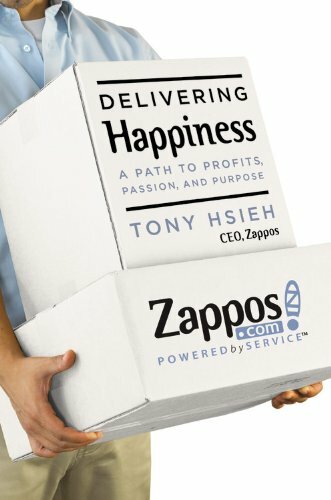 Zappos is an online retailer that began like Amazon, focused on one product line — shoes — and surpassed $1 billion in gross merchandise sales after a decade of building a reputation for amazing customer service. 1. Alignment: when you bring the day-to-day actions of your workforce into alignment with your core values, that is when culture starts to make sense. 2. Ups AND Downs: in an honest and open style Hsieh talks about all the good and bad moments and the reality of falling down seven times and standing up eight. 3. 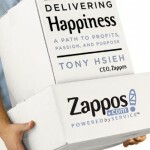 Love & Work: Happiness is not a buzzword at Zappos. It is a business model. Take for example the emotional labor that Seth Godin mentions in Linchpin. At Zappos, this hard work is called Personal Emotional Connection and it appears to be one of their competitive advantages. 4. The Culture Book: Instead of making posters with empty buzzwords or investing into long scientific surveys Zappos’ employees made the culture book, in which they tell and show in their own words what the Zappos culture and values mean to them. 5. The Style: I just love the direct style of Tony Hsieh. No poetry or literary statements; just straight talk and even entire emails that describe landmarks in the Zappos history. BCP: It’s the Culture, Stupid! BCP seems to be the Zappos codeword for Brand-Culture-Pipeline, thereby summing up their competitive advantage. When we have closer look these are three areas where 99% of the companies cut costs when the going gets tough. B is for Brand. First, Zappos decided to invest big time into their customer service, because they knew that the customer owns their brand. So there is no better way to build a strong brand than by taking care of these customers really well. C is for Culture. The above mentioned culture book is not really about the book. It is about the culture being owned and lived by your employees, vendors and customers. According to Hsieh, all organizations that are serious about culture should ask themselves if they would be comfortable printing everything their employees and customers had to say about their culture? And if not – they should ask themselves what it would take to get there. Now that is a strong question. P is for Pipeline. Rather than focusing on people as assets, they take the perspective of a pipeline. This is the long term perspective of continuous learning and evolving. In the title of this post I am making a specific reference here to the Latin American revolutionary leader Ernesto Guevara de la Serna who died in 1967 and got nicknamed ‘Che’ Guevara and whom I think is related to Tony Hsieh in more than one way. 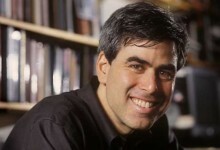 First, he is often described as a dual character who simply cannot be categorized: he played a league of his own. Second, at present Che is still a source of inspiration and contradiction. And third: he was on a mission. These are three elements where ‘Shieh’ resembles ‘Che’: there is no way you can categorize him, he is a source of inspiration to the same extent as he is a source of contradiction, and: he is on a mission. Tony Hsieh was kind enough to give me three extra copies of the book Delivering Happiness that I can give away for free.